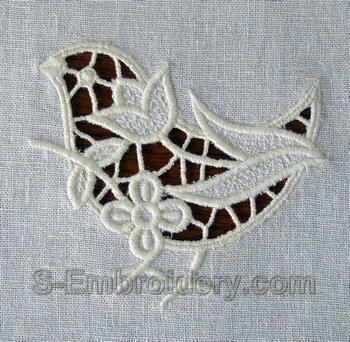 A nice little cutwork lace birdie machine embroidery. 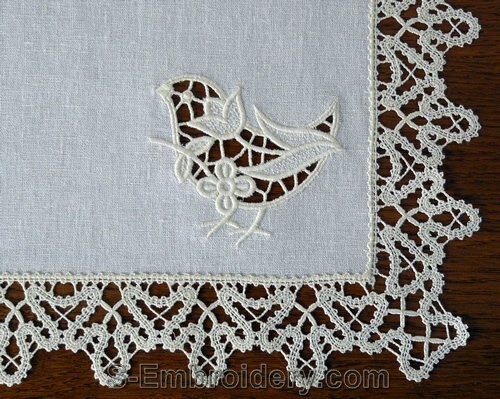 The detailed images below show an example of using this cutwork lace embroidery design for decorating a doily. 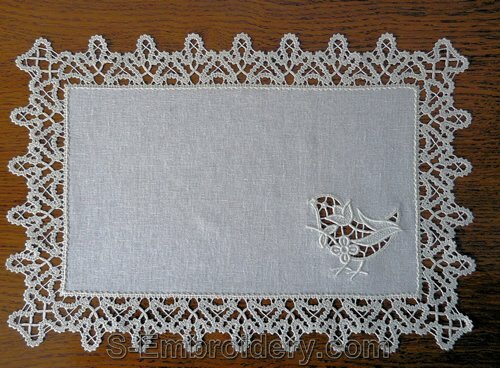 Note: The lace edging for the doily is NOT included and has to be ordered separately if you wish to use it. To create the doily featured on this page, we have used the SKU 10478 Battenberg Lace Edging Set.